Home » Salomon X Pro X90 CS Wmns. Salomon X Pro X90 CS Wmns. The Salomon X PRO 90W is a benchmark all mountain boot, offering Twinframe 2 boosted performance and women-specific Custom Shell personalized fit. 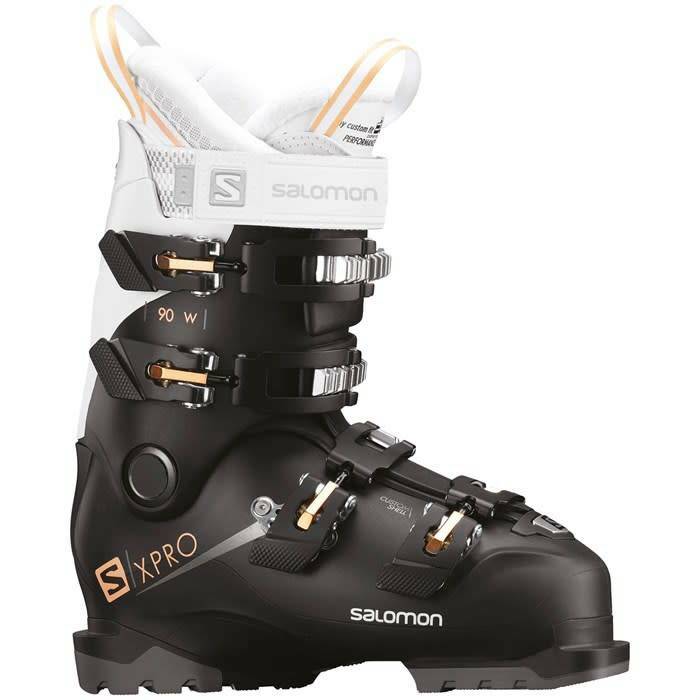 The Salomon X PRO 90W is a benchmark all mountain boot, offering Twinframe 2 boosted performance and women-specific Custom Shell personalized fit, making them perfect for the intermediate to advanced skier.